Spring is here, it’s official! So here’s a painting that features bluebells, carpeting the woodland floor like drifting smoke. 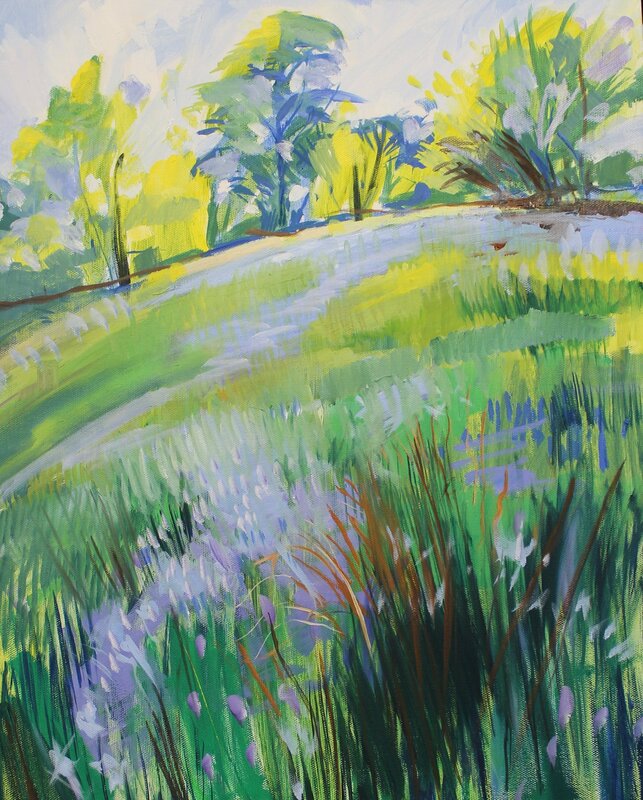 This was painted during May, in a lucky year when the hawthorn bushes were covered in white blossoms at the same time as the bluebells were at their peak. Its not every year that these flowers coincide, as I have realised since.